I have a market at the Abbotsford Convent on Sunday so have been making goodies. This month I have the new little embroidery hoop, room decorations and I have also made a new batch of biscuit brooches and magnets. 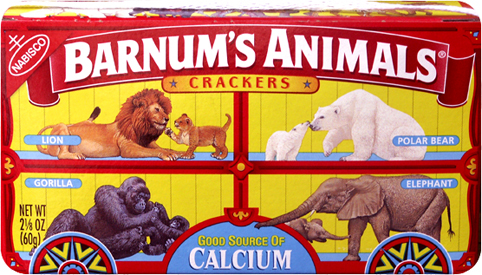 I have cast a few Australian favourites (see tomorrow) and I found these traditional American Animal Crackers, which I have made as brooches. As with quite a few childhood biscuits that have animal shapes, sometimes it is hard to tell what they are. I chose the kangaroo, the tiger, the hippo and Mr seal (this is the hard to identify one). I just love the packaging of these little snacks.